Red carpet events are one of those elegant occasions many people find fascination in. Hollywood celebrities love dressing up. The media loves snapping pics of the VIPs. The rest of the people enjoy watching everything. It’s an event in itself, before a “main event”. 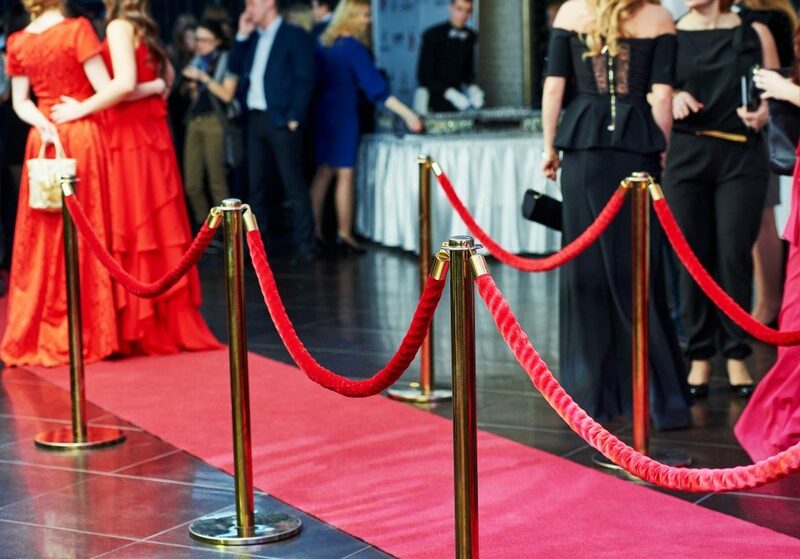 It’s no wonder that, whether it’s in the entertainment industry, corporate world, or charity function, the red carpet is a default choice for an event of elegance. As much as it’s fun to watch though, it’s not an easy event to pull off. The size of the red carpet will determine the sense of order in the space. If it’s too short, it would look jam-packed or cause a bottleneck. If it’s too long, it might look too empty that it won’t feel festive at all — worse, your event might look like it wasn’t a success because people didn’t attend. Depending on the number of guests and media outlets you’re anticipating, decide on how long the arrival carpets should be. The people at the venue you’re eyeing should have an idea on how you can estimate the right size. The event spaces New York-based companies get are usually those that have already hosted a few red carpets in the past. Event experts often dedicate specific spots for certain media outlets before the event starts. This will ensure a more organized flow of the red carpet. They also assign people who can be the ‘red carpet managers,’ controlling traffic flow, taking the tickets, and getting everyone into the event. In the context of Hollywood events, such managers talk to talent handlers to get celebrities to move along after interviews. Take the same principle of having a dedicated space and person to avoid delays and the actual event can start on time. The media will appreciate it more if you could give them a list of the guests beforehand. It will make your job easier as they won’t have to go to your red carpet managers every now and then for the correct spelling of CEOs’ names and whatnot. A red carpet event is a glamorous occasion, which permits no hassle — only perfection. When an event is made out of people entering a venue, you know you are handling an important occasion with important people. So make it a stress-free event with proper preparation and these tips.